Vivo V1901 might be the next offering from the Chinese smartphone maker to hit the market. The device has received the TENAA certification and its key specifications have also been listed on the database maintained by the Chinese regulatory authority. The Vivo V1901 will pack triple rear cameras and will flaunt what appears to be a gradient design as per the images on TENAA’s database. The screen size will be 6.3-inch while the processor is listed as an octa-core SoC paired with 4GB of RAM and up to 128GB of internal storage. Carrying the model numbers V1901A and V1901T, the Vivo smartphone is depicted on the TENAA database flaunting a gradient blue finish. However, another TENAA listing page states that the Vivo V1901A will also be available in a gold colour variant as well. There is no word as to which series of Vivo smartphones will the device belong to. On the software side, the Vivo V1901 is mentioned to be running Android Pie. As per the TENAA listing, the Vivo V1901 will come equipped with a 6.53-inch HD+ (720×1544 pixels) TFT display, but there is no word on a protective coating of any kind. On closer inspection of the images in the TENAA database, one can see that it will feature a waterdrop notch and a small earpiece is located above it, while the rear panel hosts the fingerprint sensor. Talking about the internal specifications, the Vivo V1901 will be powered by an octa-core processor clocked at 2.3GHz accompanied by 4GB of RAM. The make of the processor is not known, but as per the Geekbench listing of a Vivo smartphone with the model no. Vivo V1901, it will be powered by the MediaTek Helio A22 SoC. The upcoming smartphone might come in two variants with 64GB and 128GB of inbuilt storage, which can further be expanded via microSD card (up to 256GB). The main talking point about the Vivo V1901 is its triple rear camera setup, the resolution of whose sensors is listed at 13-megapixel, 8-megapixel and 2-megapixel. However, the TENAA listing makes it a little uncertain to discern whether the front camera is a 16-megapixel unit or an 8-megapixel sensor. The battery capacity is listed at an impressive 4,880mAh, while the dimensions and weight are 159.43×76.77×8.92 mm and 190.5 grams respectively. 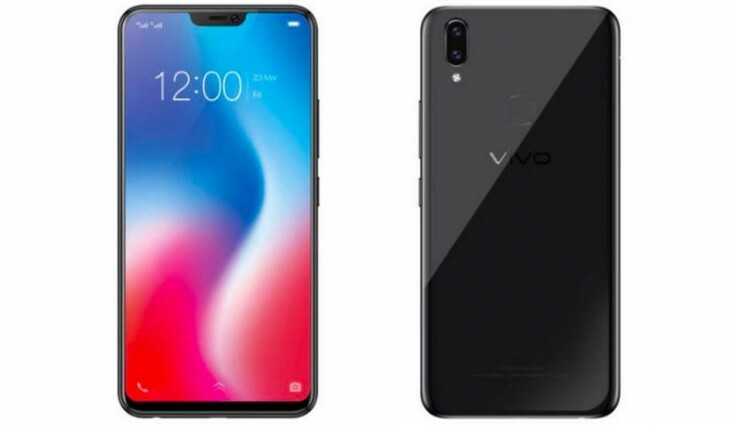 There is no word or official information as to when the Vivo V1901 will be launched.